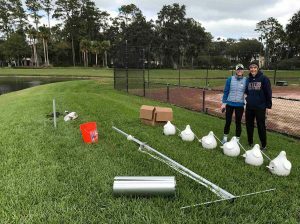 Further establishing inter-campus connections between Bolles students of all ages, upper school honors environmental science students have been busy this year bringing the popular Bolles Bluebird Project and other science lessons to younger peers on Bolles lower and middle school campuses. In 2015-2016, the Florida Bluebird Society awarded grants totaling $5,000 to The Bolles School to fund a campus project led by Moyer. 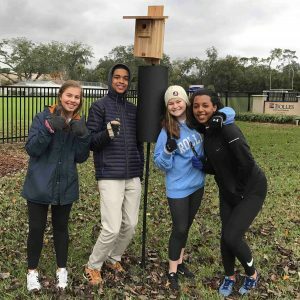 The grant funded the purchase and installation of eight bluebird nest boxes and poles in January 2016 that have attracted many bluebirds on the Upper School San Jose Campus and produced 27 baby bluebirds last year. The Bolles Bluebird Project will connect Bolles students of all ages with nature and provide them with new science experiences. The data collected will also contribute to the scientific research of the world-renowned Cornell Lab of Ornithology via their Citizen Science NestWatch program. These nest boxes are designed with entrance holes that are too small for some of the birds that would otherwise out-compete bluebirds for the nesting space. Adding to the project in 2017, students from Moyer’s Honors Environmental Science Class visited the Lower School Ponte Vedra Beach Campus in early January to install five nest boxes for Eastern Bluebirds and a rack of gourd nest boxes for Purple Martins. Other upper school students keen on bluebirds also have been working with Grade 1 and Pre-K classes on the Whitehurst campus. 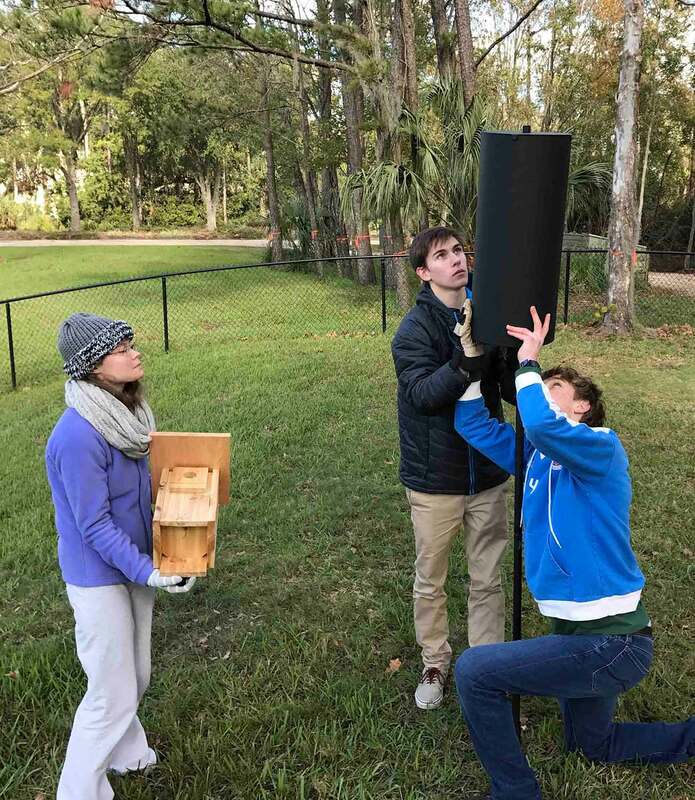 Still others installed six nest boxes on the Bartram campus last week and will be working with middle school members of the Bartram Animal Lover’s Club. 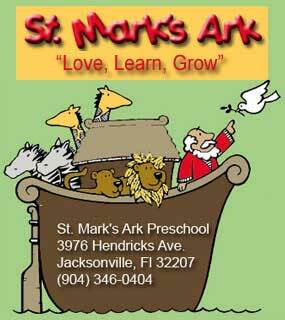 The next step for upper school students, Moyer said, is to develop a lesson to help teach lower school students. In the example of the Ponte Vedra Beach Campus, Moyer said the students will be working with campus science teacher Carolyn Houston to design a plan that will be age-appropriate. Upper school students plan to visit the Ponte Vedra Beach Campus sometime in February to help set up the students for success in attracting bluebirds and Purple Martins to the new nests and how to check the nest boxes. “I feel reasonably confident we will get a couple of successful bluebird nests this spring in the five bluebird boxes we set up,” Moyer said. The Purple Martins, on the other hand, may be “more of a wild card,” Moyer said. Faculty and students have been working diligently to attract the Purple Martins. In addition to the new nesting gourds, the birds may also like the campus’ proximity to water. 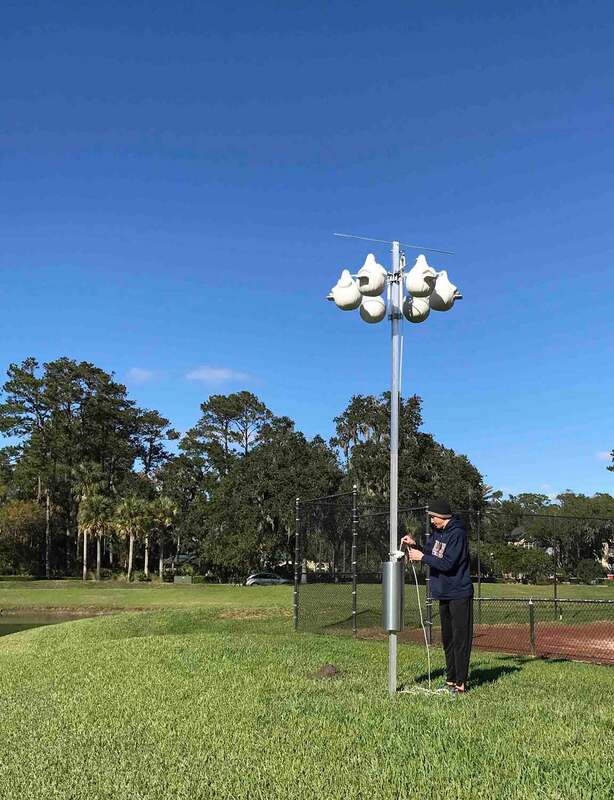 Upper school students who live in the Ponte Vedra Beach area may also stop by the lower school campus on their way to school to play “the dawn song of the Purple Martin.” Captured on a CD, the sounds lure birds to the area. Students also will be watching out and preventing invasive “bully birds” like the House Sparrow and the European Starling from occupying the gourds before the Purple Martins arrive back from their “wintering grounds” in South America, Moyer said. 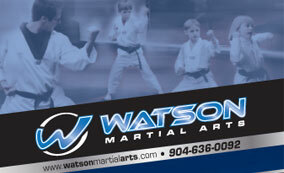 The Bolles School is a co-educational college preparatory day and boarding school serving students on four campuses in grades pre-kindergarten through twelve.